The ANZAC activations continue... but sadly... will soon come to an end. 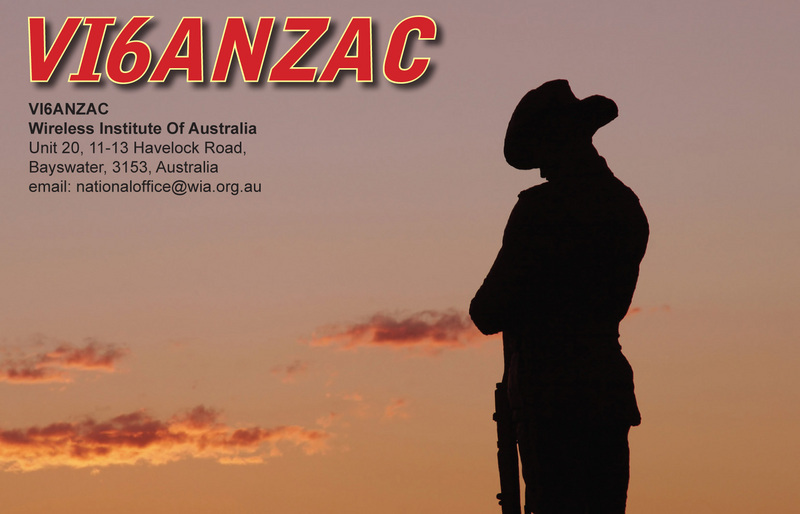 During December you’ll hear the "last hurrah" activation of the VIxANZAC callsigns, with all States and territories being activated Ham College is very proud to be activating VI6ANZAC over the weekend of the 12th and 13th of December. The committee spent some time planning the activation, which was finalised this week, and are proud to announce that they have secured permission to operate in the RAAF museum in Bullcreek. Museum opening hours are ten till four. The activation will also take place at other locations, including Wireless Hill and Ham College. Chris said the group intend to self-spot, and use the club’s APRS marker at aprs.fi to update their operating locations for the day. The following weekend, 19th and 20th of December, the activation moves to the Ham College shack, where two amateur stations will be operated. On this second weekend there will be a BBQ, and Ham College invites you to join them. The station will utilise satellite over the period, both linear and FM, with a QSL card to be exchanged for completed satellite contacts. If you wish to arrange a satellite sked please contact Chris to make arrangements. Ham College are still looking for operators to volunteer to help with the activation. If you feel you can spare the time, no matter how small, to be a part of, and contribute to the event, it would be greatly appreciated. Please contact Chris, VK6PII@outlook.com, as soon as possible, to express your interest in operating. The roster of operators will be closing this coming week. Visitors to the activation are welcome, and Club members hope to see you during the event.